Below are some links to companies in Wake County, NC that rent, sell, or repair orchestral string instruments. 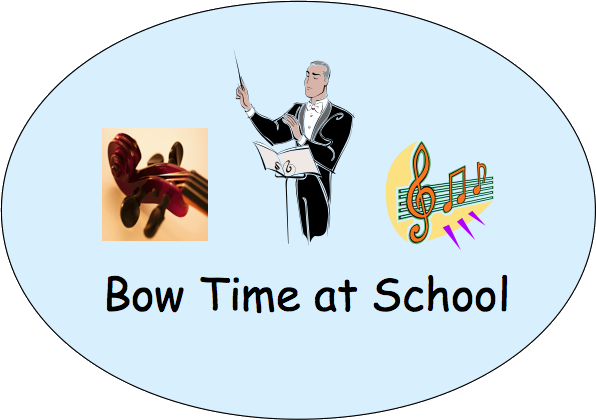 ​Bow Time At School has established a business relationship with the Music & Arts stores at both the Cary location (919-854-0024) and the Triangle Town North Raleigh location (919-872-1601) to make it easy for you to get all the accessories you need at a 10% discounted price. But feel free to shop for what you need anywhere you want. bundles also include a shoulder rest, but you must know your child's instrument size to get the correct one. If you don't already have a properly sized instrument for your child that you can bring, then be sure to bring your child with you to the store. The cello bundle does not include a shoulder rest, but instead includes a "zeros" strap which prevents the end pin from slipping on the floor. For instrument rentals and purchases, there are two stores in Wake County that you should consider: Triangle Strings or Music & Arts. Triangle Strings is located in Cary. Music & Arts, with stores in Cary, North Raleigh, and Durham, will measure your child and provide the correct size (1/2, 3/4, or full). Triangle Strings, on the other hand, needs to know in advance what size your child needs, making the rental process a bit more tricky. As your child advances with his or her musical studies, please be aware of orchestral opportunities offered by the Raleigh Children's Orchestra and the Triangle Philharmonic Association. Copyright 2018 Bow Time At School. All rights reserved.